This page has become a neglected pen-pal. But no more, I'm on a new platform. I'm hoping to utilize all the bells and whistles Word Press has to offer, ignoring it's realm of complexity. I look forward to seeing you over across the way. And yes the book is done. Check it out. The EBook is available and the hard-copy will be available December 19th. 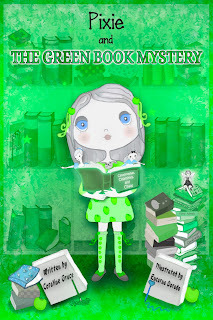 Meet Pixie, our adorable book reading, library romping, mystery solving, apple loving girl that goes on a quest to save books at her local library.